Kinshofer, one of the world’s leading sources of high-quality excavator and loader crane attachments, offers the X-LOCK Coupler, a safe and quick solution for exchanging excavator attachments on the jobsite. The tool allows the operator to exchange attachments safely from within the cab and features a wedge-locking principal, which allows the coupler to connect to the attachment in two separate places, where competitors only feature one locking point. 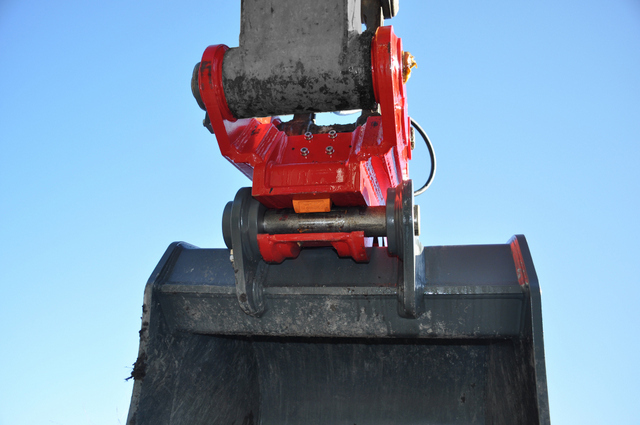 The X-LOCK Coupler easily pairs with buckets, rippers, rakes and mechanical grabs as well as a wide variety of demolition, recycling and railroad attachments. 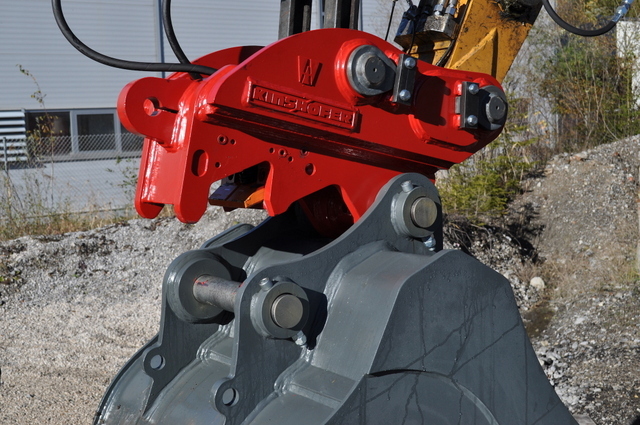 Unlike the competition, the wedge-locking principal connects the coupler to the attachment in two separate places and provides a two-and-a-half-fold locking force compared to a pendular jaw quick hitch. This constant applied working pressure continuously readjusts the wedge, keeping both pins firmly against the quick hitch. Two pressure relief valves operate the wedge, which locks at 1,730 psi and unlocks at 3,455 psi. This ensures the hydraulic circuit is not over pressurized and greatly minimizes wear in the locking area between the coupler and the attachment. A rear lock safety device ensures the wedge does not retract and disconnect the attachment if hydraulic failure occurs. Additional safety features within the X-LOCK Coupler allow the operator to connect and disconnect safely from within the cab. When connecting, the X-LOCK Safety Knuckle immediately and automatically engages onto the front pin, which can only be released by the operator. The self-adjusting wedge locks the second pin as soon as the lock switch is deactivated, safely securing the attachment. When disconnecting, the operator unlocks the self-adjusting wedge from the rear pin and unlocks the safety knuckle from the front pin. The coupler is now ready to be removed from the attachment. If the attachment is not fully detached within five to 12 seconds, the coupler will automatically reattach for safety. The auto-lock window time period is customizable. Once disconnected, the safety knuckle re-engages and is ready to lock the front pin of the next attachment. During the exchange of attachments, the operator is able to control and monitor the exchange process in the cab through the X-LOCK Control Unit, which features a separate open and close button. This control unit includes a timetable that notifies the operator when the wedge and safety knuckle are open or closed. The system features red and green LED lights as well as a warning buzzer that indicates whether the pairing was successful or not. This heightens operator awareness, helping him or her manage the system and prevent highly hazardous situations by alerting if the attachment is not properly attached. The durable X-LOCK Couplers are made of high-alloy steel and are available for excavators with 2,200- to 220,000-pound operating weights. Each coupler installs simply and safely, with just one hydraulic circuit and two hydraulic hoses. All parts are enclosed within the system, reducing damage and lessening parts replacement costs. Kinshofer offers four models of X-LOCK Couplers, including Hydraulic Pin-to-Pin, S-Style Nordic Style, and Tilt or Tilt Rotation and Mechanical Pin-to-Pin. For more info on Kinshofer, click this link. Hurry! Before it’s too late!